The Roger Federer vs Rafael Nadal rivalry is arguably the greatest rivalry the game has ever witnessed. 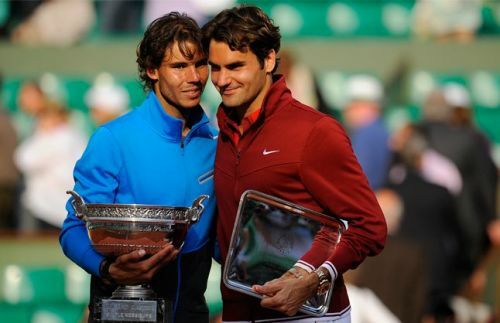 Thanks to their consistency, Federer and Nadal have given us many memorable encounters in tournament finals. Their encounters in Grand Slam finals have added some of the most memorable pages in the history books of the game. Nadal leads the head-to-head in Grand Slam finals by 6-3, but that doesn't mean the matches have been one-sided. Except 2008 Roland Garros, it has been the exact opposite. Federer and Nadal were scheduled to face each other in the Indian Wells semifinal this week, but Nadal unfortunately had to withdraw due to injury. However, the proposed meeting took everyone down memory lane, making them reminisce the best moments that the two have shared on the court over the years. 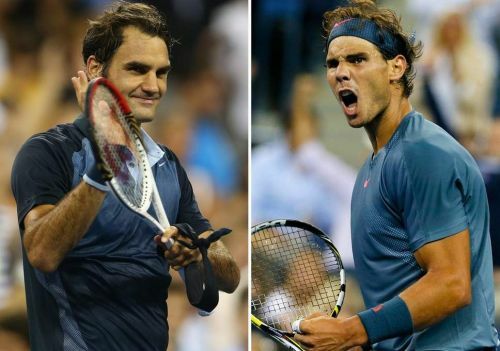 On that note, let's look back at five of the best Slam finals between these two legends. The 2011 Roland Garros tournament is well remembered for Federer's amazing performance in the semifinal, which stopped Novak Djokovic's winning run. That was one of the best ever performances of Federer on clay, if not the best. That was also the year when the big serving American John Isner unexpectedly gave a first round scare to Nadal at his favorite tournament, forcing the Spaniard to fight five sets to get through the first round. The final was a memorable one which lasted for more than three and a half hours. The first three sets were as close as they could get. Nadal won the first two while Federer claimed the third. But as Nadal usually does at Roland Garros, he upped his game to pull out the fourth set in dominant fashion, and with it his 6th French Open title - leveling Bjorn Borg's record.